Have you ever wanted to create a good looking business card without spending on it much time? If so then we're glad to present you our program called Business Card Studio that will help you to realize your innermost wishes. Thanks to its ease-of-use interface and WYSIWYG idea designing templates becomes much easier. By using it you get a pleasure and save your money at the same time. You don't have to worry that you will get the result different from what you've expected cause it's you who's a designer. 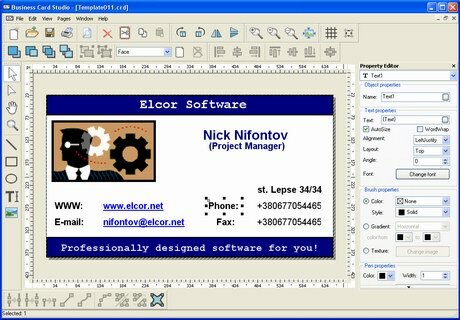 Drawing and printing templates with Business Card Studio is a fairly easy task yet allowing you to compose complex projects in few steps.